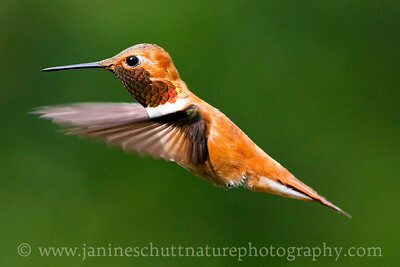 Male Rufous Hummingbird near Bremerton, Washington. 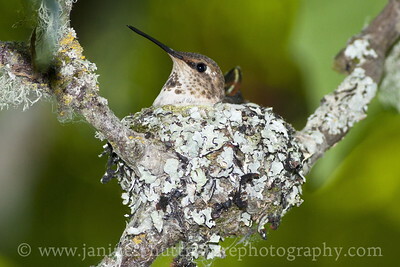 Female Rufous Hummingbird in nest at Nisqually National Wildlife Refuge near Olympia, Washington. 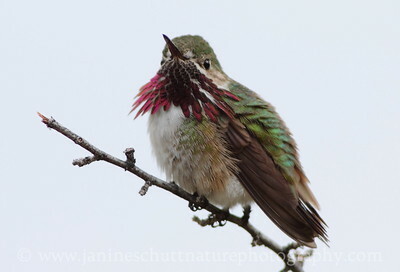 Photo taken along the Twin Barns Loop Trail. 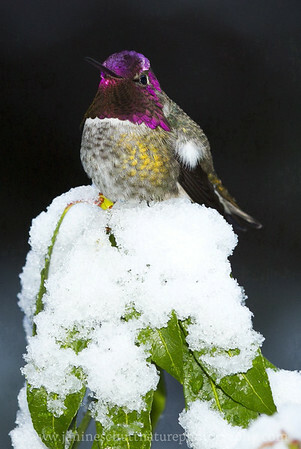 Male Anna's Hummingbird on a snowy day near Bremerton, Washington. 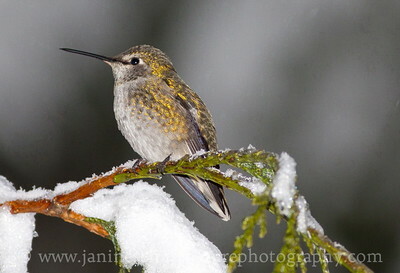 Female Anna's Hummingbird on a snowy western red cedar branch contemplating why it doesn't migrate to a warmer winter climate. Photo taken near Bremerton, Washington. 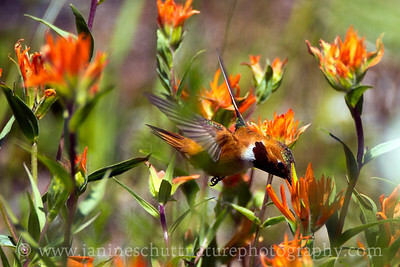 Male Rufous Hummingbird sipping nectar from Indian paintbrush. Photo taken from the parking area of the Norway Pass Trailhead, at the Mt. St. Helens National Volcanic Monument in Washington. 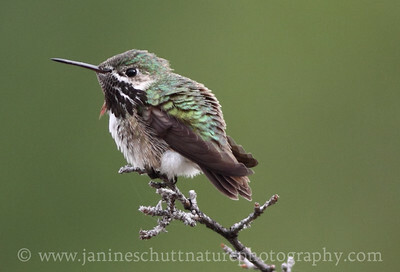 Male Calliope Hummingbird near the nature trails at the Leavenworth National Fish Hatchery in Leavenworth, Washington. 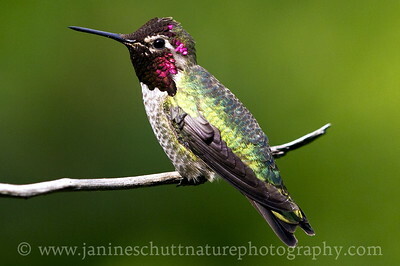 Male Anna's Hummingbird near Bremerton, Washington. 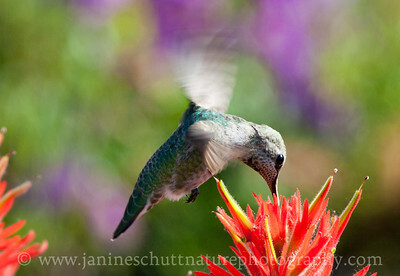 Female Anna's Hummingbird sipping nectar from Indian paintbrush by the Mt. St. Helens Johnston Ridge Observatory in Washington. 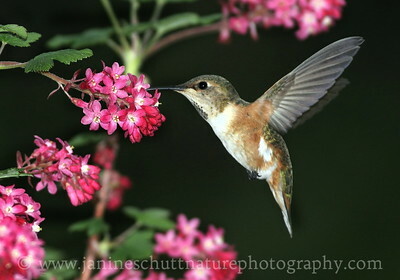 Female Rufous Hummingbird sipping nectar from red-flowering currant. 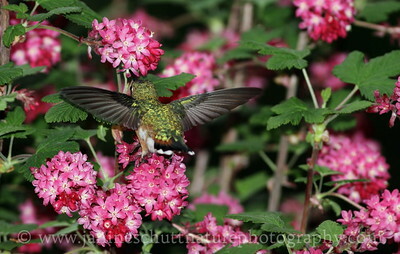 Photo taken near Bremerton, Washington. 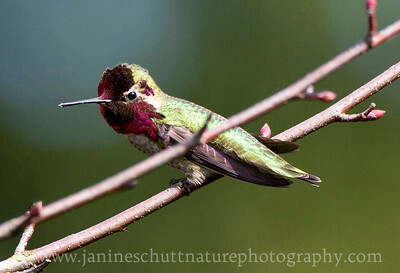 Male Anna's Hummingbird at Titlow Park in Tacoma, Washington. 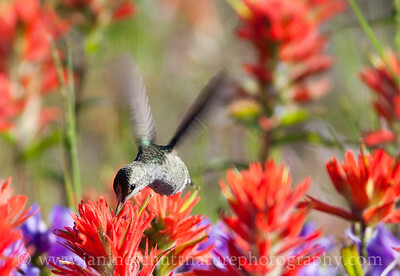 Male Anna's Hummingbird sipping nectar from Indian paintbrush at the Mt. St. Helens National Volcanic Monument in Washington. Photo taken at the Loowit Viewpoint. 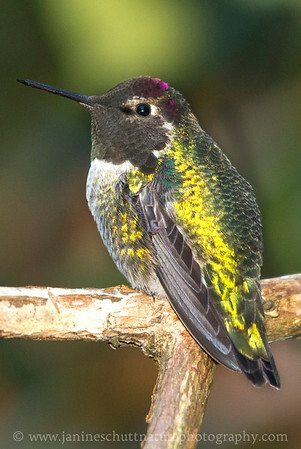 Female Anna's Hummingbird by the Mt. St. Helens Johnston Ridge Observatory in Washington. 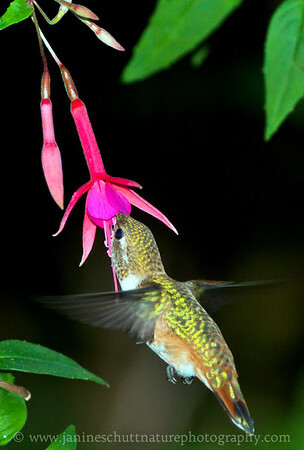 Female Rufous Hummingbird sipping nectar from a Caledonia trailing fuchsia. 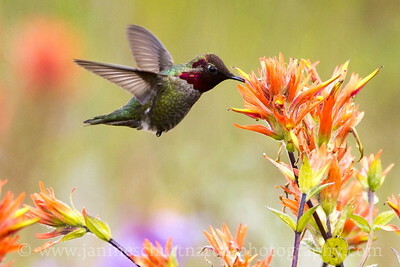 Photo taken near Bremerton, Washington. 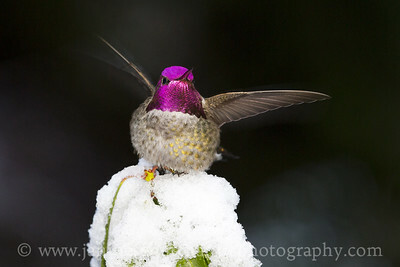 Male Anna's Hummingbird on a cold December day near Bremerton, Washington. 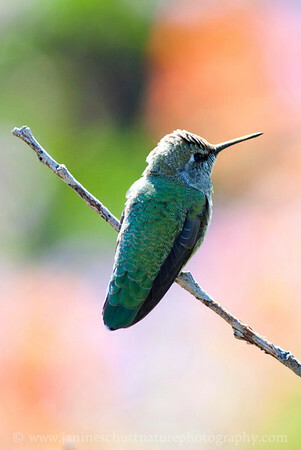 Photo taken with a macro lens. 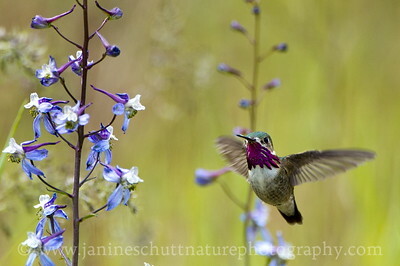 This photo won Honorable Mention in the Macro Category of the 2014 Tacoma Nature Center Photo Contest.